Doodling might be something that we do not look upon to be a serious work of art, but bear in mind that all great artists must have doodled once in a while back when they were a wee lad. Having said that, rather than settle for ordinary crayons, how about doodling with a unique set which arrives in the shape of dogs? 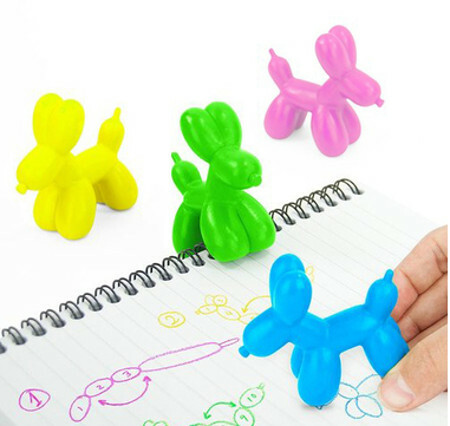 This is what the $7.99 Doodle Dogs Crayons is all about, where they look like poodles that have been presented via balloon sculptures. Arriving in a set of four in blue, pink, green, and yellow shades, each crayon measures 1.22 inches wide x 2.56 inches tall x 2.64 inches deep.